Ancestry: Zelotes A. Bassett; Abijah Bassett, Jr.
Born: April 4, 1891 in Brighton Ma. Died: February 6, 1980 in Falmouth Ma. Where Lived: Winchester, Medford & Cataumet Ma. 4. 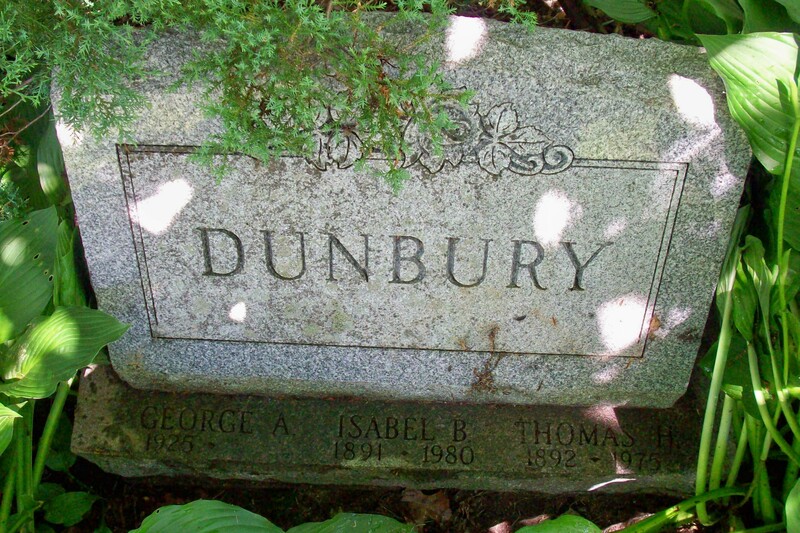 George A. Dunbury, WW ll; (November 12, 1925 – April 24, 1988); George is buried near his parents in Cataumet Cemetery. 5. 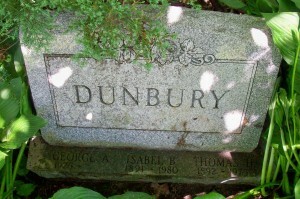 Frederick John Dunbury; (September 8, 1928 – July 20, 2007); Married Alice Frances Lathrop (1935 – ?) (Emery F. Lathrop & Josephine G. (–)) in Bourne Ma. on April 12, 1958; Frederick, a teacher in Bourne public schools, is buried in Cataumet Cemetery.